Jack Daniel’s Tennessee released a new honey whiskey. ​Steeped in tradition, Jack Daniel’s doesn’t debut new liquors often, but the famous Tennessee distillery is rolling out a new whiskey in April: Jack Daniel’s Tennessee Honey. How does it taste? Well, really, actually pretty good. 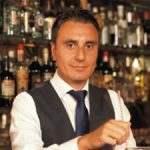 I have recently facing a speculation about originality of the Italian products and I decide to refresh the knowledge and history about Italian Vermouth & Bitters liqueurs. Human being transform what Mother Nature makes. Pisco ready to take the world stage? Help, save ourselves, save yourself! The Ego has arrived : but be careful never lie to customers and colleagues. The Kammerling’s – Ginseng Spirit . ​Petaluma-based Tempus Fugit, maker of Gran Classico bitters and absinthes, has just released a 19th-century-style spirit, Liqueur de Violettes, in San Francisco. The colour’s a natural blue-pink (from the violets it’s made from, hand-harvested in the sunny Côte d’Azur). The new Bitter Truth creation is a style of mild amaro liqueur. That alone makes it exciting, but the product is also worthwhile on its own merits.